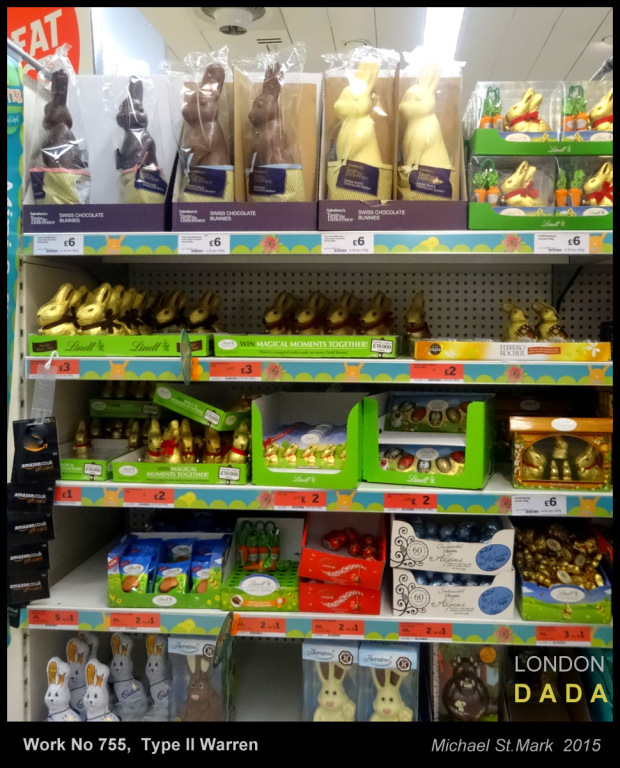 The chocolate rabbits of mass destruction, waiting to pounce on a pancreas and along the sugar coated road to Type 2 Diabetes within 15 minutes of ingestion. *Public health educational Work in the stead of token toothless (ptp) ‘warnings’ on the dangers of refined sugar from HM Govt. health watchdogs in the pockets of corporate food retailers and the sugar refining industry. This entry was posted in Uncategorized and tagged Chocolate Rabbits, Diabetes, Type 2 Warren by Michael St.Mark. Bookmark the permalink.